Pure Mountain Educational Fun for Schools! The Stanislaus National Forest is the ultimate outdoor classroom for schools. Bear Valley offers two comprehensive mid-week school programs for kids from first to twelfth grade. Be sure to inform us if you will have any students that will need an adaptive lesson. We are happy to accommodate them, but advanced reservations of no less than two weeks are required. Ideal for a one-day getaway that includes a full day on the Mountain with teachers, classmates, and chaperones. Prices for ages 6-18 start as low as $12 per person. Full packages with lesson and rental gear start at $36. Adaptive packages also available. The school rules the mountain! This is our most flexible program available. 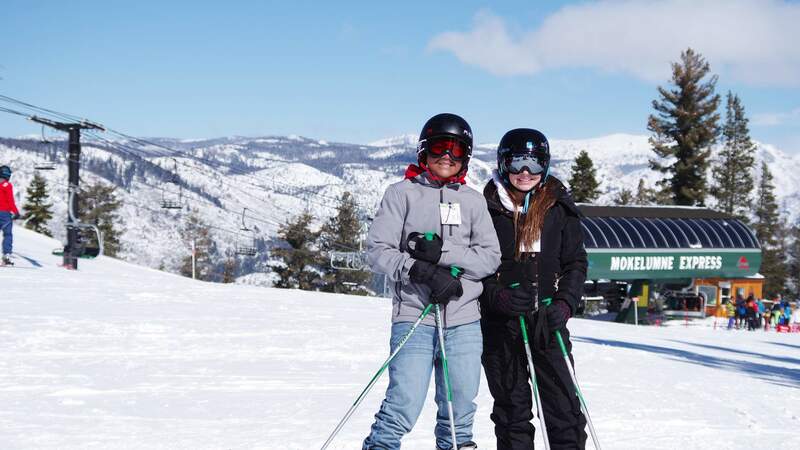 Contact our sales team to develop a customized getaway that includes lodging, meals, and fun on the snow for your school’s overnight stay in Bear Valley. Fill out our online form or call to schedule your school’s visit to Bear Valley!